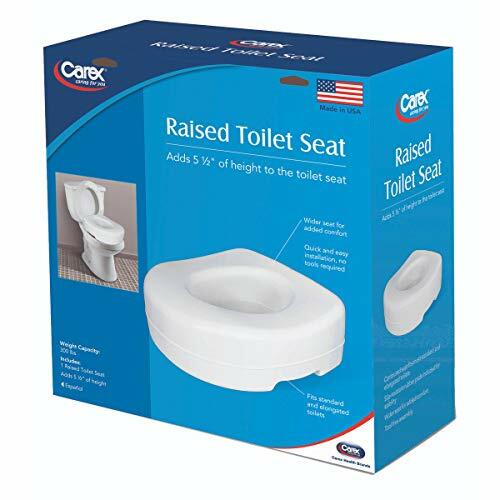 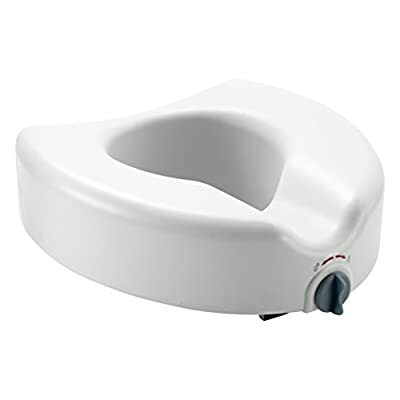 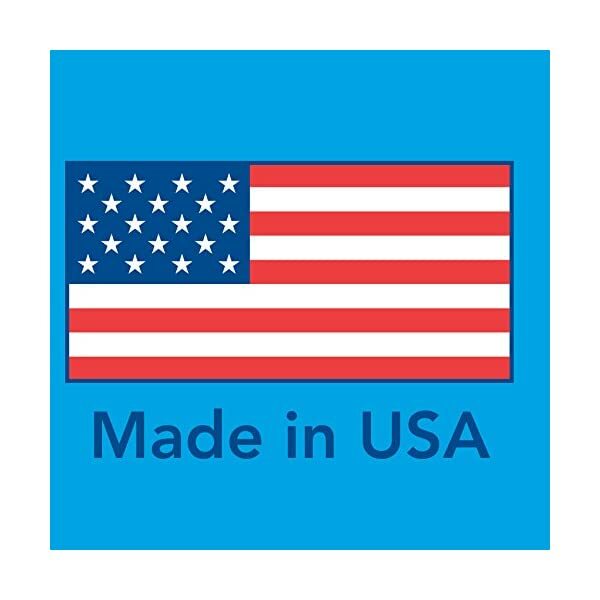 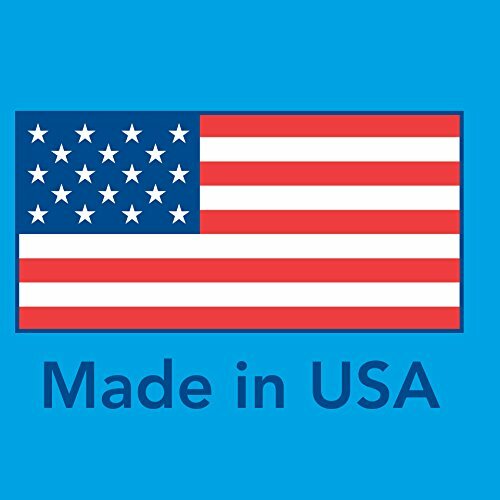 The Raised Toilet Seat adds 5 inches of height to the toilet seat to assist handicap, seniors, elderly, those with bending or sitting difficulties, hip surgery patients, knee surgery patients, and anyone with difficulty bending down to sit on the toilet bowl. 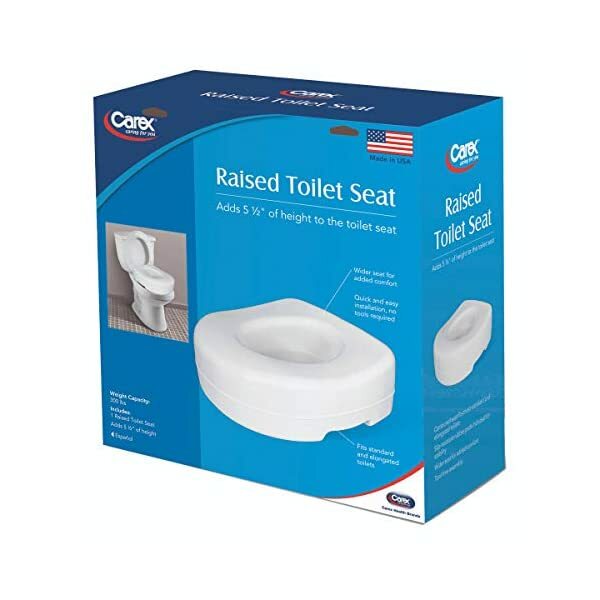 The comfortable, contoured toilet seat riser features anti-slip rubber pads for stability and provides a wider, more comfortable seating area. 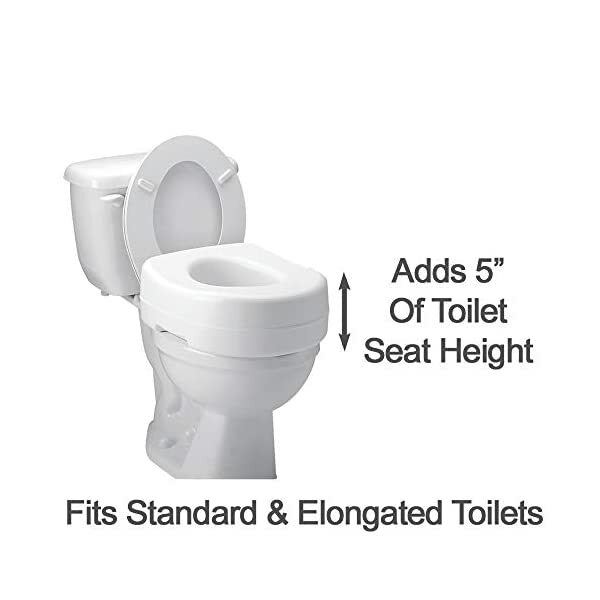 A raised toilet seat that its most standard and elongated toilets. 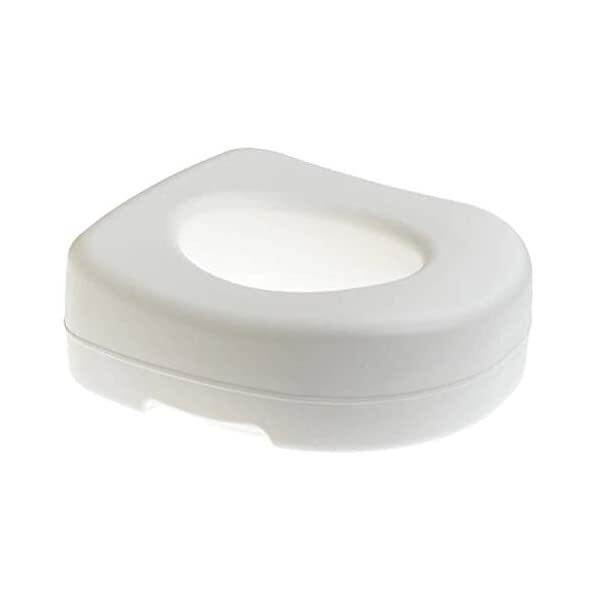 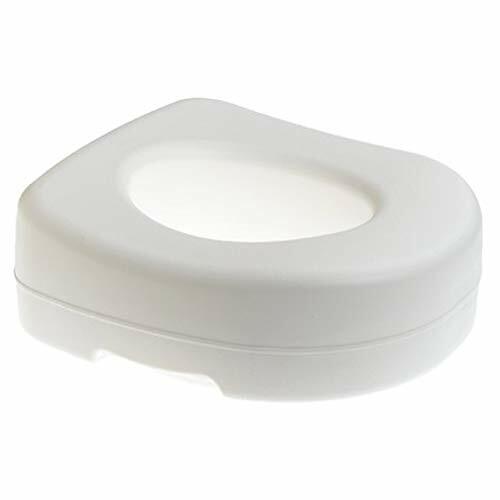 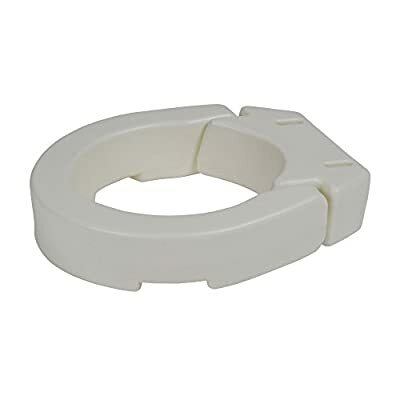 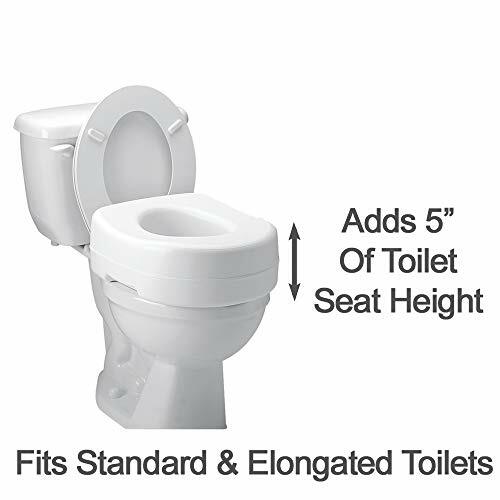 Toilet riser dds 5″ of height to the toilet seat without having to actually remove the toilet lid. 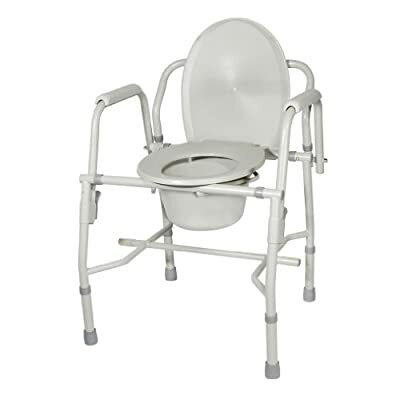 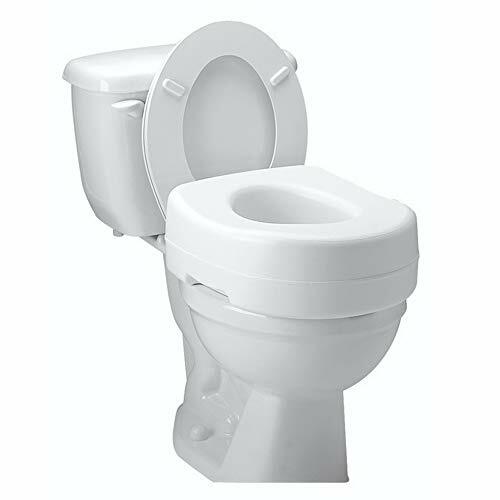 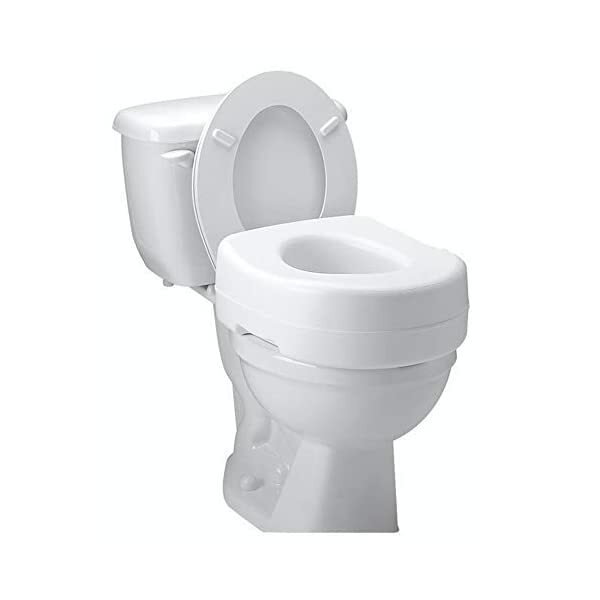 Toilet riser has a contoured seat that is wider the most for added comfort. 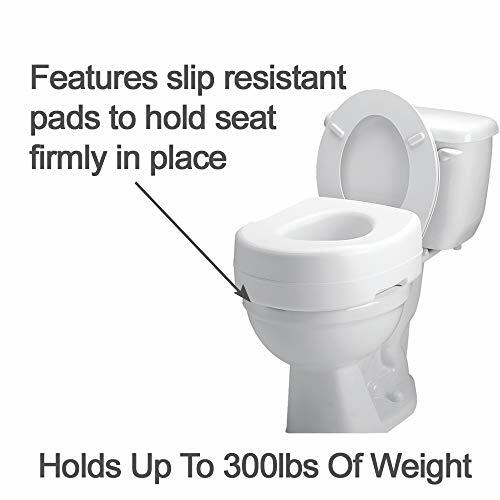 The toilet elevator features slip-resistant rubber pads for stability. 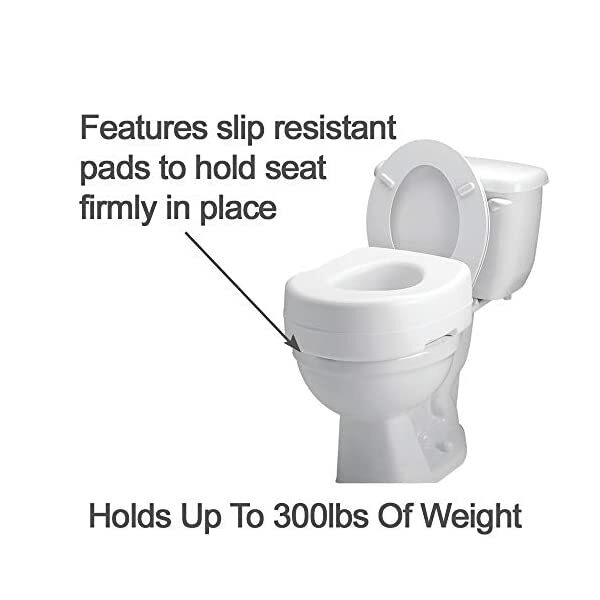 This raised toilet seat, which installs in seconds, adds 5 inches of height to your toilet to aid those with bending difficulties.